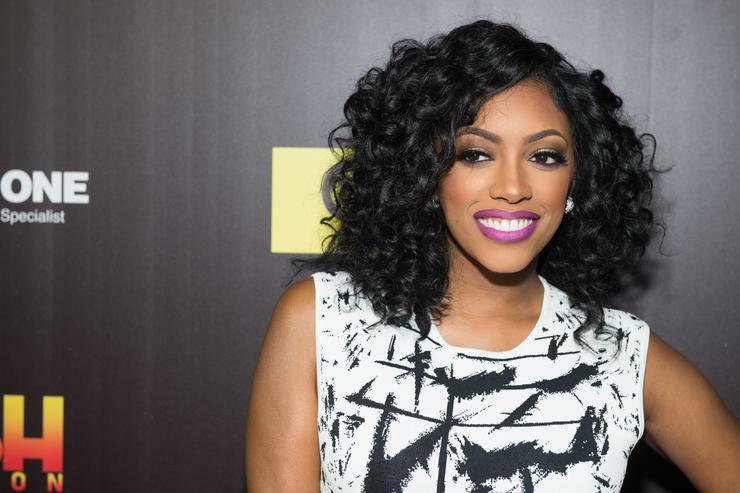 Throughout her pregnancy, Porsha Williams has only referred to her baby-to-be as "," leaving fans in suspense as to what her first born's name would be, but today everyone found out when the 37-year-old gave birth to her daughter Pilar Jhena after undergoing a C-section. Porsha looked beautiful as she was glammed up for PJ's arrival. According to People, the Real Housewives Atlanta star's little girl came in weighing 6 lbs., 15 oz., and measuring 20 inches long. “What a time to be alive! Porsha and I are so happy and blessed to announce the arrival our daughter, Baby PJ,” Willams and fiancé Dennis McKinley said in a joint statement. “We couldn’t have imagined a more magical moment! Can’t thank everyone enough for joining us on this journey. It’s been a fantastic journey." The new parents also recently were blessed with a —or should we say, McKinley received a present from an unlikely source. Maury Povich gifted McKinley with a baby onesie that featured Maury Povich's face on it with the words, "You are the father." He also included a note that reads, "Porsha and Dennis, I wanted to celebrate the upcoming arrival your baby girl with a small gift from The Maury Show. :) Best, Maury Povich." McKinley thought the present was hilarious and captioned the photo, "@ficialmauryshow Maury man you petty 😂😂"
For years, Real Housewives Atlanta fans have watched as Porsha has been honest about wanting to get married and expand on her family by having children. There has been a string relationships documented on the show, including her messy divorce from Kordell Stewart, but now she has the soon-to-be-husband and baby she's always wanted. Congrats to them!